If you love caricature carving but are getting a little tired of cowboys and Santas this book is for you! Inside this book you'll find 5 whimsical creatures just waiting to be released from wood. 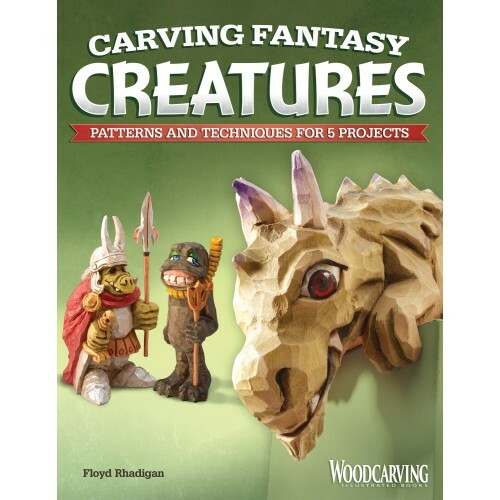 Follow along with popular woodcarving instructor and author Floyd Rhadigan as he takes you-step by step-through carving and painting a fantasy dragons. Once you master the basic skills you can move on to the additional 4 carving patterns that are included. From the reptilian knight to the gargoyle you'll have plenty of great creatures to carve!